Guys I'm really tired lol. I actually have a sleeping test to do at the end of the month. My mom thinks I have sleep apnea, plus I've been under some stress lately as well and that doesn't help with my sleep. Such is life. 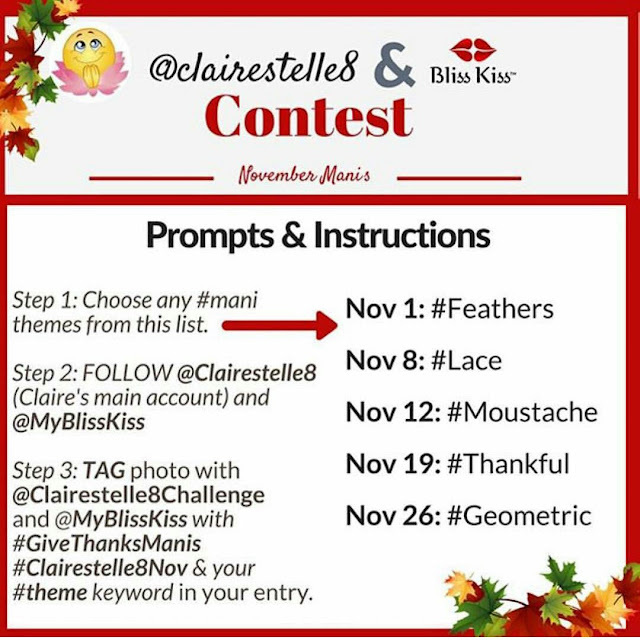 Alright for the sake of getting caught up with some posts today I have my Clairestelle8 Day 8 - Lace + a ToSave stamping plate review. Here we go! I also just remembered that I didn't share the prompts for this months Clairestelle8 challenge. So here it is! As you can see the plate that I was sent to review is a round one and it did come with the usual blue protective film. The plate has 8 individual images, 3 larger images, 3 medium and two smaller ones. The images are well etched and I had absolutely no issues with picking up and or transferring the images. Alright back to my mani. 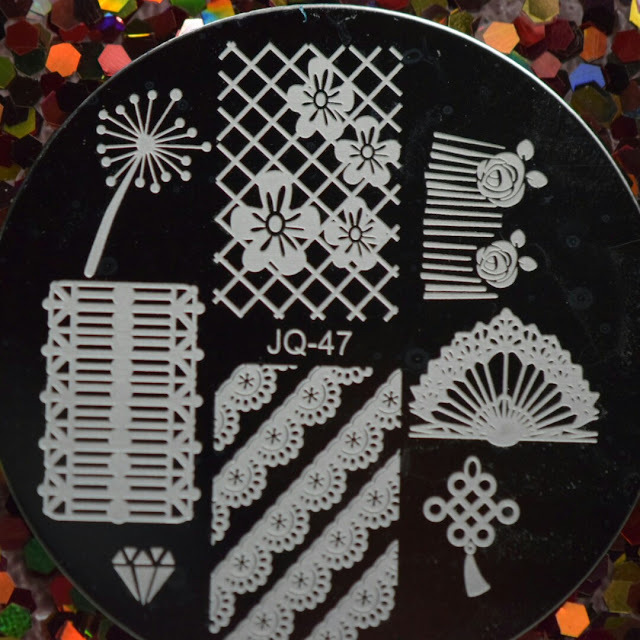 Seeing as the prompt was lace I decided to go with one of the larger images at the bottom of the plate. I just love how the image picked up so nicely and I really love these two colours together more than I thought I was going too. God I love stamping, honestly lol. Sally Hansen Extreme Wear: Blue it! 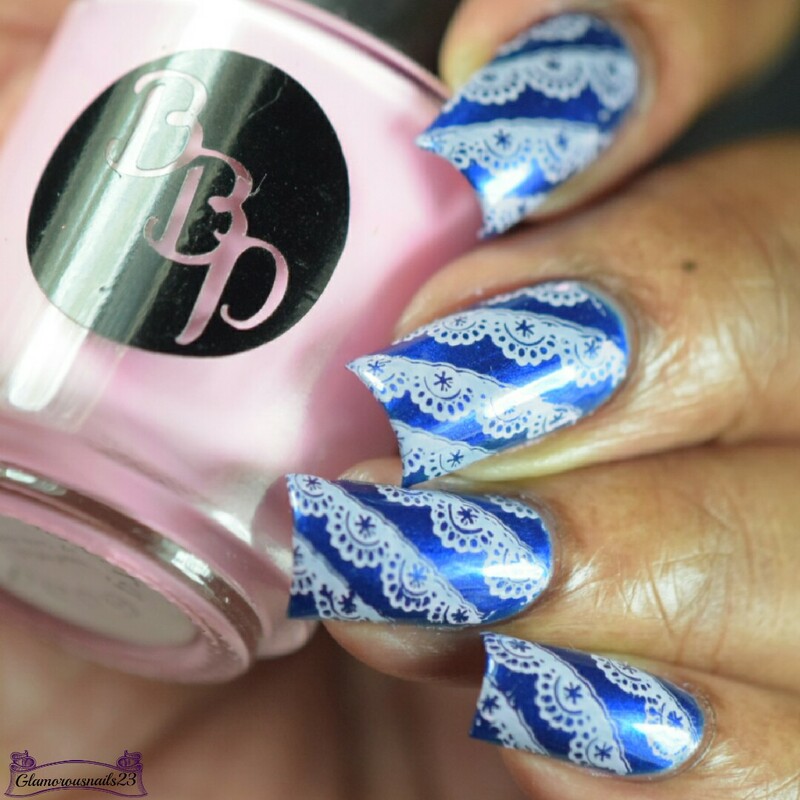 Unfortunately at the moment the stamping plate I used for this mani isn't currently available! That's a pretty plate. The designs are so dainty. 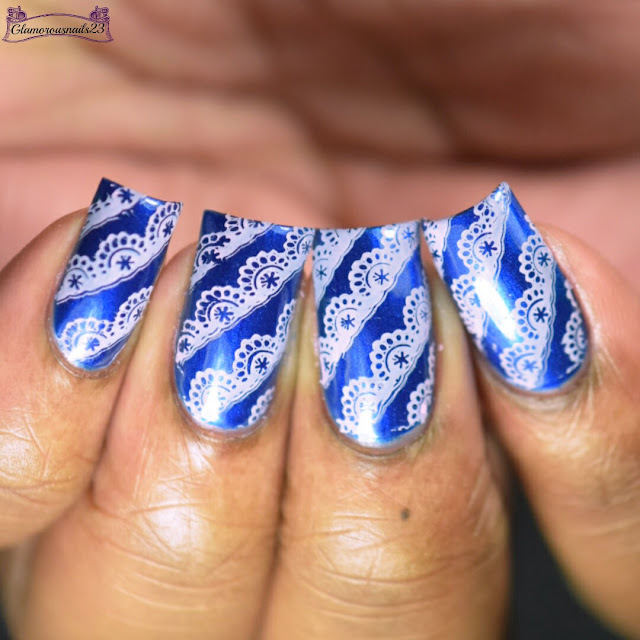 Beautiful lace mani! I love that you paired it with a pretty blue. :) I hope the sleep test goes alright. Wow! Your stamping is so perfect! 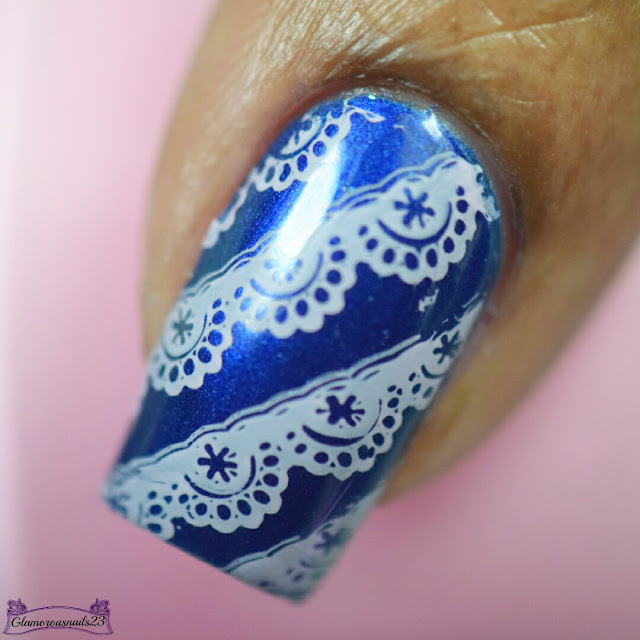 This has a wintery vibe with the cool blue and white. Oh this is just lovely! 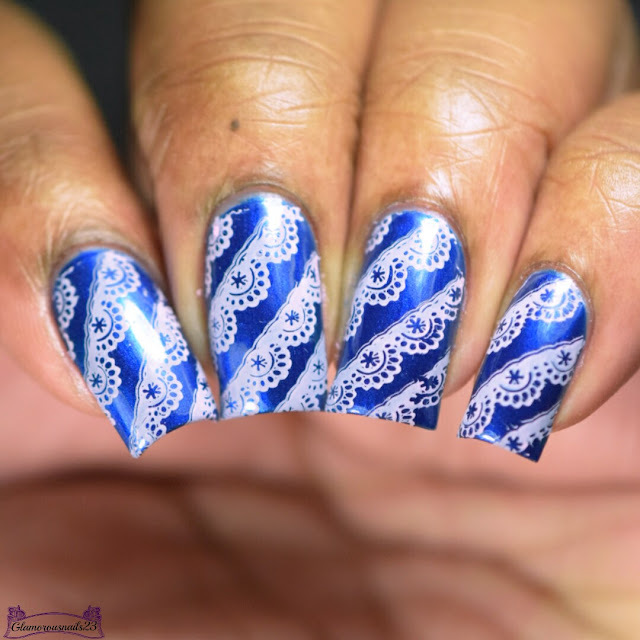 I love the lace manis! I definitely see lace! Nice stamping! Thanks! That's the same thing I was thinking.